Volume pedals are extremely straightforward. Simply rock the pedal forward (towards your toes) to increase volume and backward (towards your heel) to decrease volume. 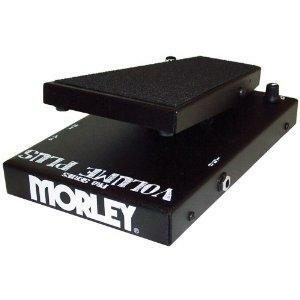 Some volume pedals can be adjusted to vary the amount of volume change between the toe position and the heel position. This technique may be preferable vs. guitar volume knobs as it "frees" up your picking hand. Copyright © 2019 AskAGuitarPro.com. All Rights Reserved.